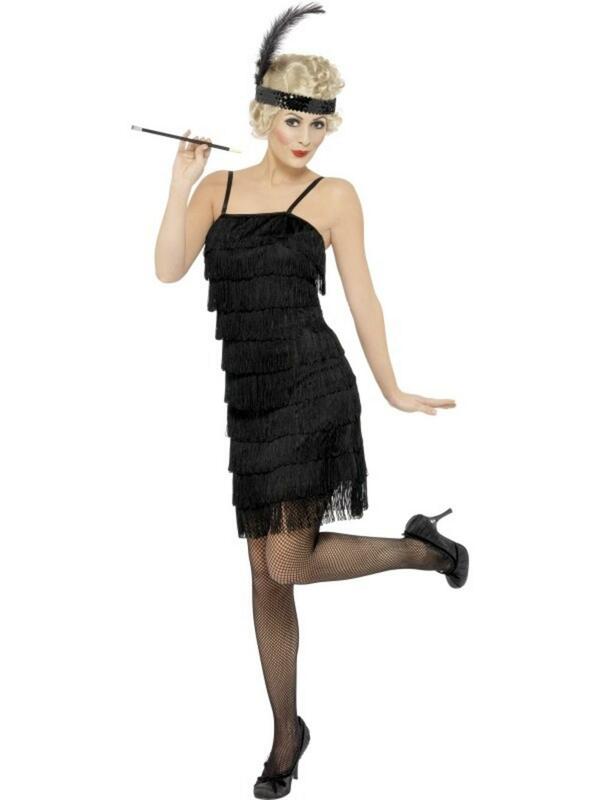 Shimmy around the fancy dress party in this gorgeous 1920s inspired dress and you'll soon be dancing the charleston with your favourite partner in this Black Fringe Flapper Fancy Dress Costume. Included is a beautiful knee length black dress with fringe detailing creating layers of sensuous moving fabric, a black garter and a sparkling sequin headband with a black feather attached. Perfect for a 1920s themed fancy dress party.